I received an email from Al Jones saying that Bill had contacted him about contributing to rebornpipes. 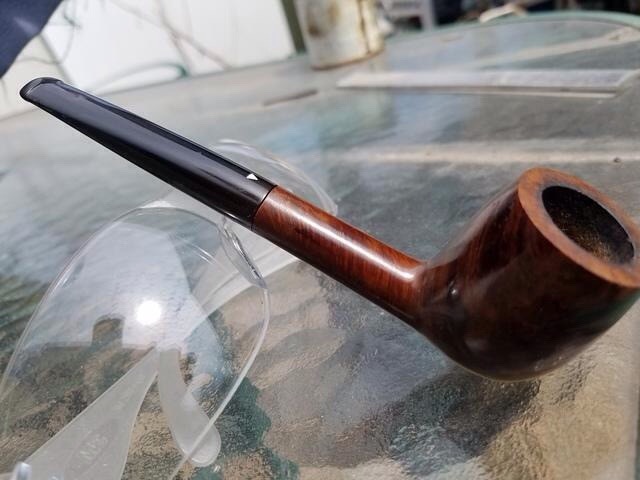 I contacted Bill and received a great email and this write up on a WDC pipe he recently restored. It is a great write up and a great restoration. It is a pleasure to have Bill write for us and share his work with us. I for one never tire of reading about the work each of the contributors do and always find I learn something from you. Thanks Bill for your work. Welcome to rebornpipes. Today I’m working on a WDC Milano Hesson Guard. This pipe is stamped with the words Grainy Briar and stamped patented Dec.22 1925. Through a quick google search I found a patent date of 1932 for the Hesson Guard models so this pipe must have been made between 1925-1932. 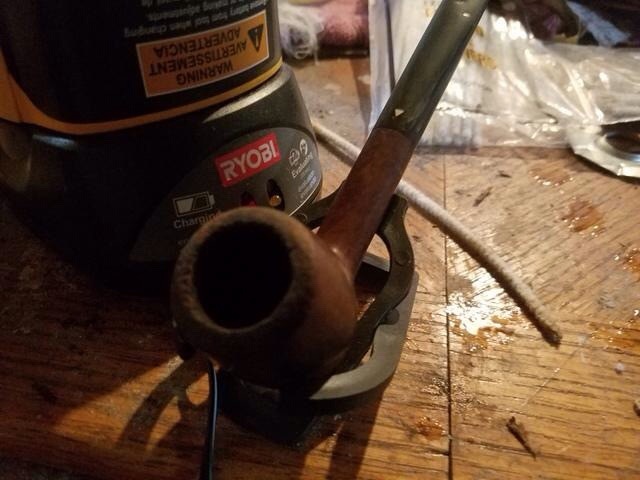 When this pipe came to me it had some deep tooth indents in the stem and a rounded over rim. I started out by reaming the bowl and giving it the salt and alcohol treatment. While the bowl was soaking I put the stem in an oxiclean bath. After about a 4 hour soak I knocked the salt out of the bowl and gave it a good rinse. I removed the stem from the oxiclean bath and rinsed it as well. I let both dry overnight. With the stem and the bowl dry I started sanding down the tooth marks on the stem. 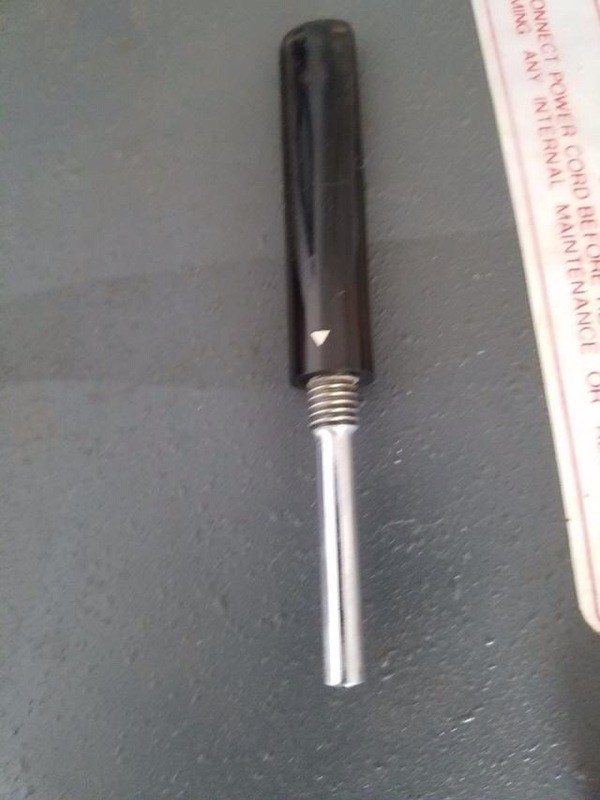 I applied heat with a soft flame lighter and used 500 grit wet sandpaper to remove the marks. These pipes have a pretty thick stem so I wasn’t worried about sanding away at them. I then sanded the stem with 1500 grit sandpaper. 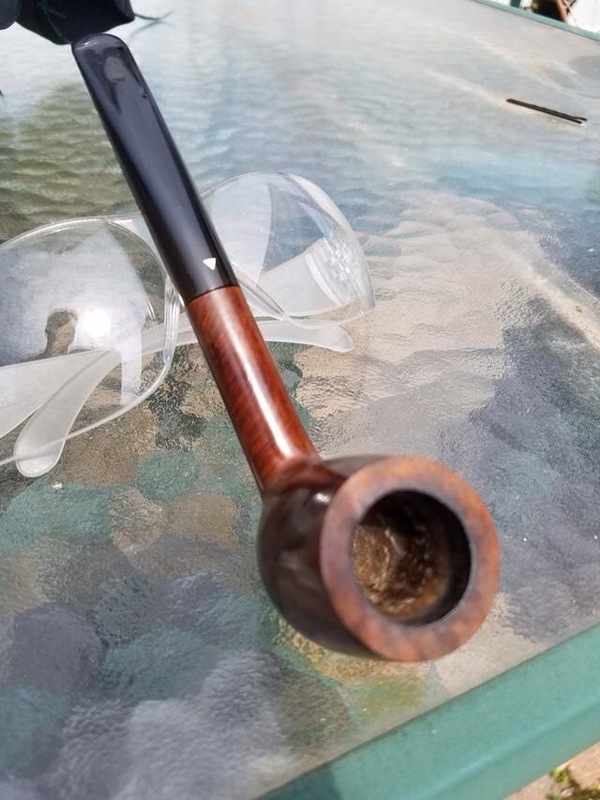 With the outside of the stem in much better condition, I proceeded to run alcohol soaked pipe cleaners through the stem until they came out clean. This pipe has a long metal stinger which I cleaned by sanding with 500 grit paper. With the stem finished I took the bowl over to my belt sander and topped it off. I was able to sand it back to be flat without removing too much briar. I used a walnut stain pen to restain the rim . 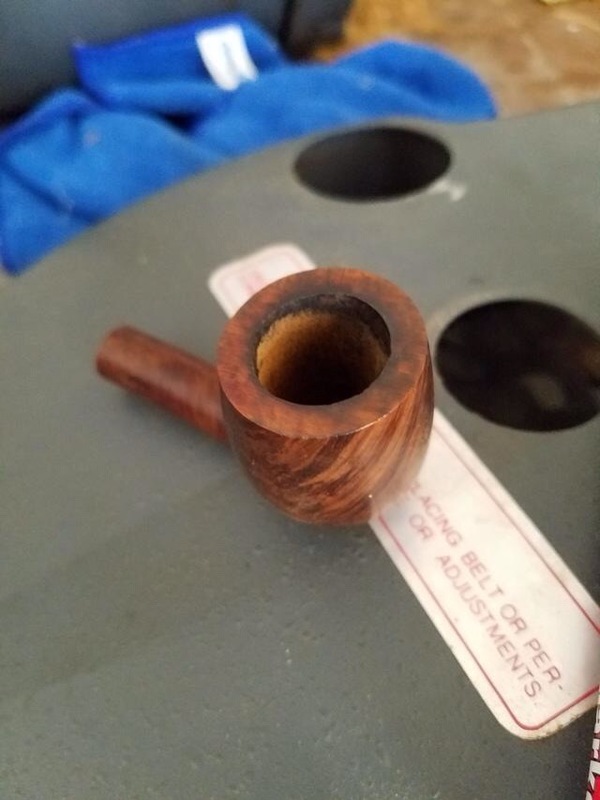 With the rim topped and re-stained I reassembled the pipe and took it over to my buffer. For the bowl I buffed on 3 coats of carnauba wax, buffing with a soft wheel and microfiber cloth between each coat. For the stem I first buffed it with brown tripoli, followed by carnauba wax. Here is the finished pipe. This entry was posted in Pipe Refurbishing Essays on April 23, 2016 by rebornpipes. Beautiful work, great pipe. WDC Milano Hessons, Royal Demuths, etc., were great old pipes, as attested by this one. They are an incredible bargain on eBay and other sites.